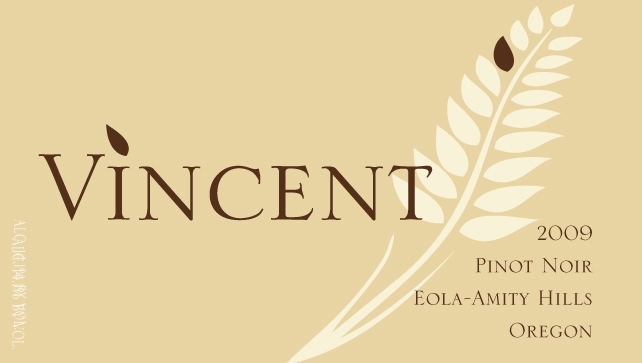 Vincent Wine Company is Willamette Valley winery making Oregon Pinot Noir, Chardonnay and Pinot Blanc. Owner/winemaker Vincent Fritzsche launched the winery in 2009 after years of apprenticing in wineries in Oregon and California. We’re all about low-input wine making, working with several sustainably-farmed vineyards around the Willamette Valley to produce small amounts of handmade wine without a lot of fuss. 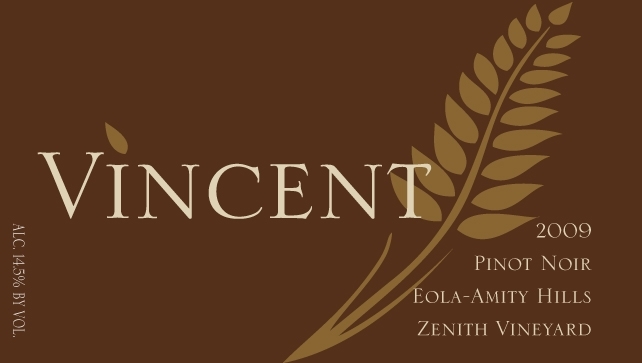 Join the Vincent Wine Company mailing list to get access to our annual futures offer, which gives you first chance at all our new wines at the best prices of the year. Our new winery home is Grochau Cellars in the Eola HIlls near McMinnville. John Grochau is a great friend and makes terrific wines that you should try. He has a tasting room at the GC winery, 9360 Eola Hills Road in Amity, OR. Tasting for Vincent is by appointment only. To set up your appointment, join our mailing list. Vincent Wine Company is named for many things. It is Vincent’s name, of course. It was also the name of his uncle and maternal grandfather. But, really, the name pays homage to the 4th century Saint Vincent of Saragossa, Spain, the patron saint of vintners. He was adopted centuries ago by the Burgundians, makers of the Pinot noir and Chardonnay, our grapes. Each year on or around January 22, they celebrate his feast day with the legendary Fête de la Saint Vincent. For all these reasons, it seems fitting for our wine to carry the name Vincent. Our labels were designed by Angie Reat of Imprint Design in Portland, OR. They feature the image of a shaft of wheat, which has a variety of meanings. Of course it’s elegant, something we look for in our wines. It’s representative of bread, an essential companion to wine. It also symbolizes the history of wheat growing in our region and of Wheatland, a place here in the Willamette Valley and the site of a lovely ferry crossing of the Willamette River to the Eola-Amity Hills AVA. And for you old coin trivia buffs, it’s a play on the “cent” in our name . The old Lincoln “wheat” penny was first minted in 1909, the 100th anniversary of Abraham Lincoln’s birthday and 100 years before our first vintage in 2009. Vincent was a coin collector as a kid, and the label concept came in a waking dream. We like it and hope you do, too.